The House Martins have finally arrived much later than last year. Two days ago at Low Barns I saw a Spotted Flycatcher. 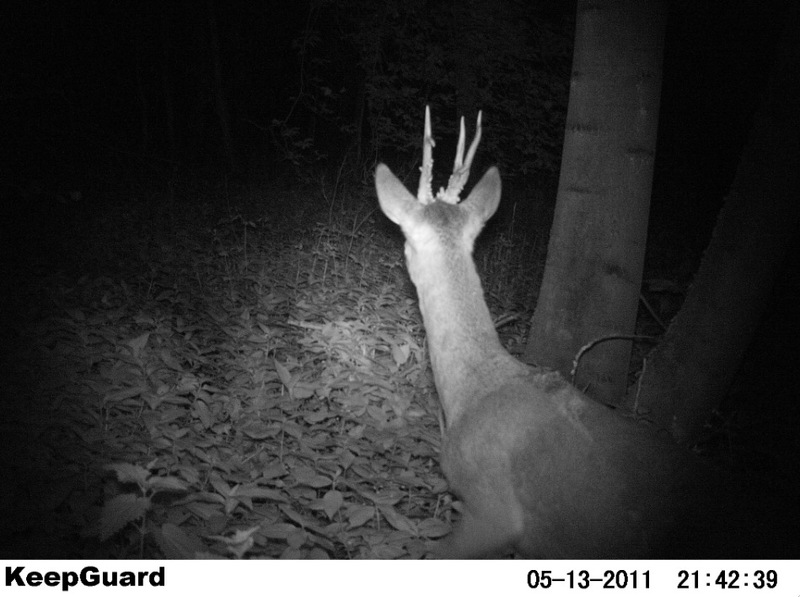 I set the trail camera up at Low Barns yesterday and was rewarded with a picture of a Roe Buck. Pity it wasn't walking the other way! I watched a Dipper on the river at Low Barns this morning. This is the first one I've seen this year. Dipper at Low Barns from David Raymond on Vimeo. There was a Whitethroat singing in the hedges near the reed beds.